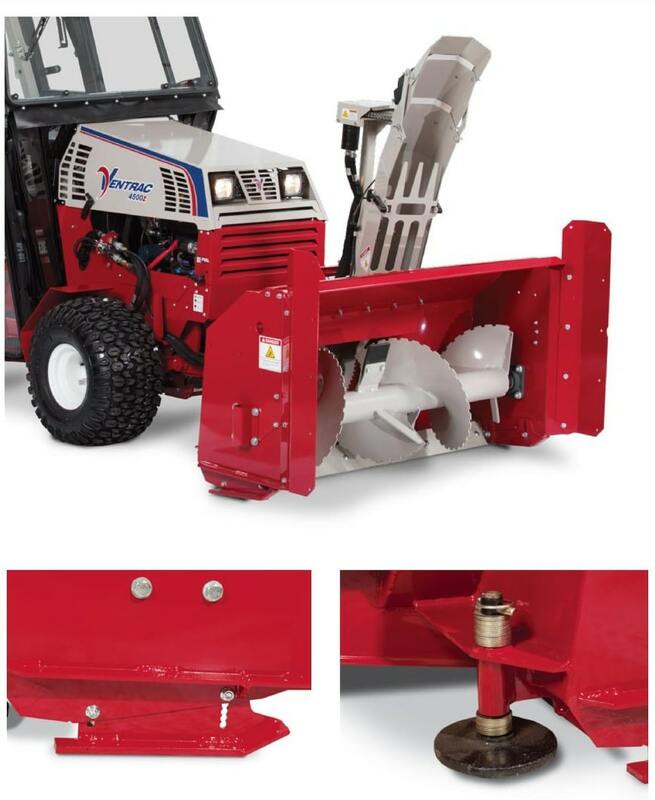 The 52” wide Ventrac KX523 Snow Blower is built for commercial snow clearing operations of sidewalks, driveways, and other areas. A two stage snow blower, the KX523 features a 16 inch diameter solid auger for best snow transfer, a large 20 inch diameter fan, and the ability to move 4500 pounds of snow per minute at distances up to 40 feet. Standard features include adjustable cast iron skid shoe discs at the rear, high carbon hardened steel shoes at the side, and a reversible high carbon hardened steel cutting edge.